I first met Paul in late summer 1980 when he was assigned to my cubicle at work. We were both test engineers at Northrop Corp’s Aerosciences Laboratory in Hawthorne (Coincidence #1!) CA. Our duties were to conduct wind tunnel tests in Northrop’s own facilities, primarily the 7ft x 10ft Low Speed Wind Tunnel, and in various facilities around the country. We got off to a rocky start – Paul had been working on creating a strong first impression (He was always working on something – see Appendix III for more). His aggressive two-handed clasp, gimlet-eyed gaze and toothy grin un-nerved me. I was still fairly fresh off the boat from England and was not used to such behavior. I soon found him to be extremely intelligent and articulate with an unusual take on many things. Being two guys forced to share a small space and neither one much interested in sports, we talked cars, specifically Ferraris (Paul’s dream) and obscure British sports cars. “moved upstate to Delmar NY in 58” Worked for a while for a car dealership that imported foreign sports cars. In the mid ‘60’s he worked for Grumman, Bethpage NY (“The Ironworks”). If this was his first job he would have started in 1965. Grumman was working on the Apollo Lunar Excursion Module (LEM) for NASA. Paul was involved in qualification testing of LEM systems. He talked about was coming to Wyle Labs in El Segundo CA to do propellant tank pressure tests using liquid nitrogen (LN2). He recalled that after the test the crew dumped the used LN2 onto the ground and hundreds of gallons of rapidly evaporating LN2 ran out of the Center Street gate and down the hill. (More coincidences: in the mid ‘90’s I was working for Wyle Labs. Grumman Bethpage had been shut down after its acquisition by Northrop and I was sent there by Wyle to strip all the valuable test equipment from the labs and bring it back to California). During his time in NY state he was involved in trials motorcycling and he talked to me later about zipping through muddy forests bouncing off rocks and tree roots. He had Dalesman and then Husqvarna trials bikes and a Belstaff Trialmaster jacket, made from waxed cotton, making it waterproof and thornproof but breathable – the motorcycle jacket of choice for Steve McQueen and Che Guevara! He said he had become adept at tuck-and-roll dismounts, i.e. falling off without getting hurt, and attempted to coach me in the art when I was racing bicycles in the ‘90’s. I found it somewhat annoying, especially after the fact, when I was black-and-blue and covered in “road rash”. In 1973 as Apollo wound down, Paul made his way to California and found work with Rockwell International (formerly North American Aviation Space Division) at Downey CA and made his home in Seal Beach CA, a small California beach community squeezed between the much larger cities of Long Beach and Huntington Beach. The Husqvarna came with him but I don’t know whether he rode in California. After a period of time he had amassed money to stop working for the man and became in his words a “street corner guru”, wandering Seal Beach, with banjo of course, trying to engage passers-by in philosophical discussions. During this time he attempted to leverage his resources by doing the 1970’s equivalent of day-trading. He spoke knowledgably about cards and systems, and there are photos of him posing with the pot o’ gold in a Vegas casino, dressed resplendently in a pale blue 3-piece. Paul’s decision to go back to work was prompted by depletion of resources. He made quick amends, being a Job Shopper (contract employee), as was I. Job shopping employment is supposed to be temporary. Northrop had a policy of limiting job shop employment to a maximum of 4 years straight. After 4 years I was told to transfer to the Northrop payroll or find a job elsewhere. Mr. Hawthorne, on the other hand, managed to go very nearly 7 years. His big coup was a test that went on for many months at NASA Langley (Hampton VA), testing a device he referred to as “the Pizza Shovel” in the Unitary Plan Wind Tunnel. During this time he was working 7 twelve hour shifts a week and picking up time-and-a-half and double time – a Job Shopper’s dream! We shared many road trips, mostly to test in the CALSPAN 8ft Transonic Wind Tunnel at Buffalo NY. On one trip, testing Northrop’s VTXTS trainer design, the program office supplied us with a huge stack of shiny blue-and-gold VTXTS bumper stickers. We had a lot of fun finding novel places to stick them all. His banjo went with him everywhere of course. While at Buffalo we made numerous side trips to Niagara Falls, Lake Ontario, and one special trip to the Finger Lakes where we visited the Glenn Curtis Museum and the Bully Hill Winery on Lake Keuka. The winery was owned by Walter S. Whooo (Taylor) who was prevented from displaying his own name on his wine bottles by Coca Cola who had bought Taylor Wineries and wanted exclusive use of the Taylor name. Paul loved the folklore of the winery which included the story of Coca Cola getting a court injunction to force the winery surrender all the wine labels that infringed on Coca Cola’s trademark rights. Mr. Taylor undertook the task himself, loading the labels into a well-used manure spreader and dumping them on the Courthouse steps. This was after he had employed a crowd of summer hire students to take Magic Markers and obliterate the word “Taylor” every time it appeared on thousands of labels. The Proprietor (“they took my name but they couldn’t get my goat”) had a unique marketing approach. In 1984(?) every bottle, regardless of color, varietals, or vintage was priced at $6. 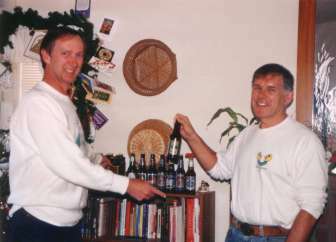 Paul gave me a 3-bottle presentation case of Bully Hill when he was cleaning out his stuff in 2001. The wine had been marginally drinkable at its best and was by then vinegar, but I kept one bottle as a prized souvenir. Our favorite restaurant was Garlock’s on the Erie Canal at Lockport NY, home of the Harrison Radiator Co.
Our choicest time together at Northrop was the BS session at the end of the day’s shift. Sometimes 10 minutes, sometimes an hour or two, sometimes all evening, the subjects ranged from the traditional sports cars, to problems and opportunities with our work, to music, to performance (favorite recitals - me: Belloc’s Cautionary Tales for Children – Paul: any of the songs from The Music Man (word perfect)). We constantly sought to broaden each other’s horizons and we struggled together to make sense of the strange world in which we found ourselves. Once we had perfected the Chicken Ranch (or Mini Tunnel – see later under “Random Anecdotes”) , if we had an aerodynamic theory or dispute we could actually walk over to the facility and put it to the test. This happened more than once. On one occasion we came up with a solution for a perplexing stability problem that had been plaguing the jet fighter project we had been working on. The project engineers were somewhat resistant to the notion that we could come up with a solution to their problem overnight without spending money. We had naively thought that they would be delighted! Paul kept an interesting collection of books in the office. We referred frequently to his copy of “Dealing with Difficult People”, trying to figure out our colleagues, but found it was more fun to invent our own categories of difficult people and how to deal with them. Paul tried to sell me on “Dressing for Success” (a major preoccupation of his in those days) without noticeable results (except for one glorious day when I turned up to work in a charcoal 3-piece, white-on-white shirt, red power tie – the works. Paul loved it – everyone else thought I had lost my mind…..He had his own copies of Hoerner’s “Fluid Dynamic Drag” and “Fluid Dynamic Lift”, which I have had in my possession since he left the business. We were both fascinated by Louise Hay’s “Heal Your Body”. Easy to dismiss as trite, or wellness by the “think method”, nonetheless, until his final cancer I never once saw or heard of Paul being ill.
Paul made a lot of friends at Northrop, and his eventual departure was marked by a huge party. 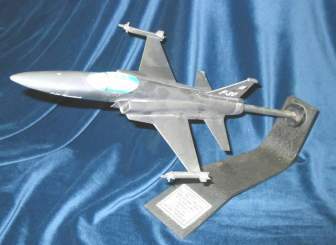 I have a hand-made-and-painted display model on my desk as I write which Paul left in my keeping after I helped him clean out his storage unit at the Tehachapi Airport. It was his banjo that led indirectly to him getting married. 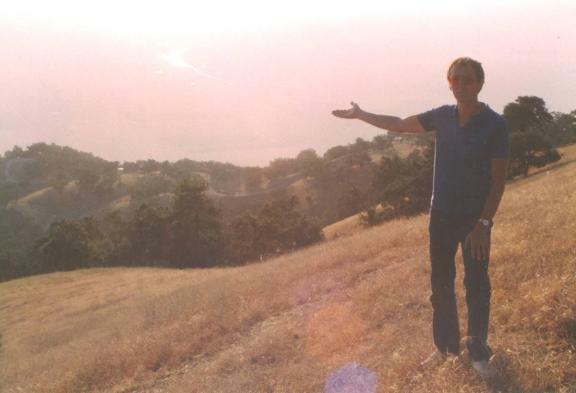 He was commuting weekly up to the Bay Area on Southwest Airlines, probably had a testing gig at NASA Ames – I forget. On one flight the flight attendant asked him to put the banjo in an overhead compartment, and, if it wouldn’t fit, to check it. Well, that wasn’t going to happen! Paul, the legend goes, politely but forcefully explained to the hapless flight attendant that Southwest’s own policy at that time allowed large musical instruments to travel in unoccupied seats at no extra cost if the flight was not full, and to make sure that she believed him he produced a copy of the policy! This impressed a woman in the row behind, and she leaned forward to congratulate him. They struck up a conversation and found that their travel plans could be coordinated for several weeks to come. One thing led to another and at their wedding (time & place unknown- I wasn’t invited), Paul presented her with a large carton containing thousands of Southwest’s signature peanut snacks to commemorate their first meeting. Paul had to leave his bachelor pad on Electric Avenue and the happy couple bought a grand residence at PCH and Seal Beach Boulevard a couple of blocks away. As his circumstances improved he started working on his dream to own a Ferrari (top of his list was a Lusso, if I remember correctly, but he said he’d settle for a 400i – which would probably have been more practical). He chose a stepwise approach - he acquired first an Alphetta and then a Maserati Biturbo. He surrounded the latter with a psychic aura so that at 200,000 miles it looked in showroom condition. 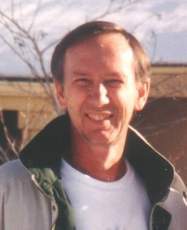 He also started taking soaring lessons and after trying a bunch of venues settled on Fantasy Haven in Tehachapi, because there he could fly state-of-the-art Grob fiberglass sailplanes. Eventually, in the fall of 1986 Northrop let him go and after a short hiatus he hired back into Rockwell’s Space Systems Transportation Division, Downey CA, as a job shopper. The shuttle support operation at Downey had dwindled to a skeleton crew in the mid-80’s, but in the aftermath of the Challenger disaster they were forced to staff up in a hurry to tackle the huge return-to-flight engineering effort required by NASA and the Government. As a result, when Paul arrived they had a predominantly contract workforce. Paul was working on testing the shuttle’s orbital maneuvering characteristics which would be done by puffing simulated control rocket jets out of a small model in a huge vacuum chamber at JSC (or maybe it was MSFC). Defining the test details and then writing an explicit pre-test specification (“Pre-test Report”) was a lengthy process and subject to many internal and NASA reviews. Rockwell had a highly sensitive relationship to NASA at the time, appropriately because NASA was their only customer, and exacerbated by memory of recent fines imposed on Rockwell by the government for mis-charging on NASA contracts. Paul repeatedly bugged me to try for a job at Downey. Early in 1987 I gave it a shot. When they asked me my salary requirement I swallowed hard and named the biggest hourly rate that I could think of. They hired me on the spot, leaving me kicking myself for being so self-limiting. Please bear with me on this point – it is germane to Paul’s story. So, in late February 1987 I came to Downey with a 12-month contract and a desk just 2 cubicles away from Paul’s. I was working on crew escape systems and the effect of main engine failure on controllability of the Shuttle during launch. It became apparent that Paul was far from happy with his situation. He had become victim of a Rockwell rule that restricted the salary of new hires with previous Rockwell employment history to a maximum increase of 33% (?) over their last salary during their previous employment. Paul pleaded his case with management and was told that the rule would be reviewed ( the argument could have hinged on whether Paul was a “free agent” or if Rockwell could legitimately classify him as a “Flexforce” employee and therefore subject to a different set of rules). Nothing happened, and so he found himself working for not much more than half of what the rest of us job shoppers were getting. Neither of us were happy with other aspects of the Rockwell culture. Our co-workers were great people and highly professional, but we felt that job shoppers were less well treated than we had been at Northrop, in both subtle and not-so-subtle ways. Paul’s soaring was going extremely well. He was also dabbling in piloting powered aircraft, but I think it was the purity of the soaring experience that made it his passion du jour. One of his axioms was “if you want to master something you have to teach it”. He applied his developing theories about instruction and learning to the teaching of soaring. To help him in this endeavor he invented his own cartoon character, “Thermal Maus,” who in Paul’s own words looked like a cross between Mickey Mouse and Spaceman Spiff, one of Calvin’s alter egos in the Calvin & Hobbes comic strip. Thermal Maus was an ace glider pilot and did everything just right. I have no memory of seeing Paul’s soaring notebook or what might have become the “Gestalt Glider Pilot” instruction book, wherein Thermal Maus would graphically demonstrate the finer points of planning a cross country or finding thermals, but his little guy started taking over at work. At first he was barely discernable in the Orbiter cockpit in a diagram showing axes and sign conventions of the model in the vacuum chamber. Then Paul found that by replacing the Orbiter cockpit with a transparent bubble canopy Thermal Maus could be seen clearly, waving and grinning as he launched into space. The cartoons invaded the margins of the draft pre-test report, which passed its initial customer reviews and was greatly enjoyed by the NASA engineers. When word of appreciation filtered back to our Director at Downey he failed to see the funny side, issuing a “cease-and-desist-or-else” order. I was in the meeting where our first-level manager passed the warning on to Paul, and I have to say that since the guy had a really hard time keeping a straight face, the urgency of the message wasn’t communicated. It may have been too late anyway, because the pre-test report was published in its final form and went off to NASA, complete with Thermal Maus. Inevitably the word of the cartoons got back to the Director at Downey again. He summoned the security guards and had Paul unceremoniously marched to the gate. Paul was furious. I was out of the plant that day so was not a witness. I think it might have been May/June 1987. Paul never worked as an engineer again. Paul told me that his engineering career spanned 22 years, of which he was only actually employed for 15 years. Paul’s marriage quickly disintegrated. They liquidated their assets and split them. Paul lit off for the southern Sierras, moving into an apartment in a new complex which was then on the outskirts of Tehachapi. Among his new neighbors were Jeana Yeager of Rutan Voyager fame and C. Robyn Mattil. During this period I saw little of Paul. We were both building new lives – my divorce became final at the end of 1988. There were a couple of standout road trips, both in my Mazda truck. We went to the Reno Air Races by way of Grass Valley (Paul had business there). We slept in the back of the truck. At a casino in Reno we played 25c. slots and spent all our winnings playing Whac-a-Mole - sounds lame, I know, but I don’t think either of us had had as much fun in a while. Another time Paul came across a map showing alleged “energy vortex” points around Sedona AZ. I picked him up in Tehachapi and we headed East on 58. We had buffet dinner in a Laughlin casino (still a helluva deal in those days). The next day we made a pilgrimage to Kingman AZ and the Oatman Hotel. We stopped at Williams to check out the Grand Canyon Railroad. 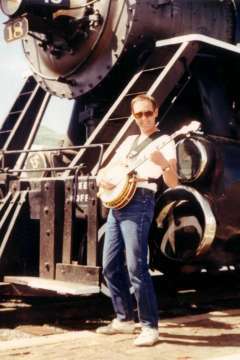 That turned into a photo op for Paul in front of one of the steam locomotives (with banjo of course). At Sedona we spent a day exploring vortex centers (mostly on top of mesas). 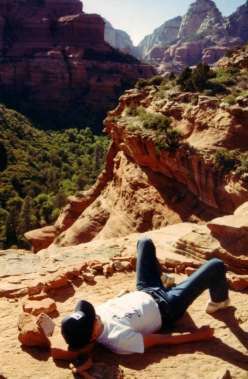 Paul was just getting into the Alexander Technique, and coached me on Alexander style posture as an aid to meditation, which I must say is definitely the thing to do in an energy vortex on top of a red sandstone butte near Sedona or anywhere else for that matter. I think the date was 1991 or ’92. Eventually Paul persuaded me to try The Alexander Technique, a method that can help you perform all your usual activities without unnecessary tension. It can be applied to sitting, standing, walking, lifting, speaking - to whatever you do during your day. We went to a practitioner in the San Fernando Valley once a week (1992). Our classmates were mostly actors. They sought the graceful and harmonious movement and posture promised by the method. I was there out of curiosity but I put what I learned to use when I raced at the velodrome. Paul was always ready to consider a new way of doing something if it made sense to him, and he was looking for ideas for reducing the stress on his body while he was playing. He used the class to refine his posture (of course, he had his banjo with him) and his banjo strap design. "Bloody hell," said Majikthise, "now that is what I call thinking. Here, Vroomfondel, why do we never think of things like that?" "Dunno," said Vroomfondel in an awed whisper; "think our brains must be too highly trained, Majikthise." I mentioned that during our afternoon BS sessions at Northrop early in our relationship we tried to make sense of our existence, as in, you know, the big questions – life, the universe and everything. Not easy for dyed-in-the-wool engineering types. Especially the one from England! My gift to him was the Hitchhikers Guide to the Galaxy – wherein he found many a true word spoken in jest. Majikthise and Vroomfondel were among his favorite characters, next to Zaphod and Marvin, the paranoid android, of course. Paul is known in his later years to have had wild birds perch on his hand and to have charmed a feral cat into becoming his friend. I ask – how did he do it? Was it saintliness? - or was it just plain dogged patience? - or could it have been pheromone control??? Another favorite quotation was: "A big hello to all intelligent life forms everywhere...and to everyone else out there, the secret is to bang the rocks together, guys." He often admonished people to keep on banging the rocks together – which I never took as a put-down, but rather a wry encouragement to keep evolving……. Paul turned me on to the Human Potential Movement in which he had been dabbling for years. 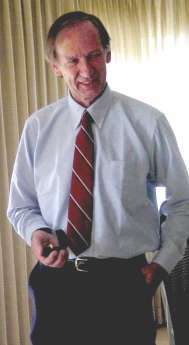 His vehicle of choice was PSI World Seminars, a somewhat maverick organization related to est and Lifespring, which he first attended in 1977, completing the course in April 1978. I believe the experience had a profound effect on him, and maybe helped him define his philosophy of life. During the courses he had studied and practiced many things, including personal responsibility; what constitutes balance in life and how to achieve it; recognizing and understanding personality types; effective communication; and do’s and don’ts for building successful relationships. I should point out that when Paul suggested I check it out he was taking a huge risk. I was still very much a supercilious, fairly angry young Englishman at the time and this thing didn’t sound to me at all the kind of thing an Englishman would do. I nearly laughed in his face, but I guess I recognized that in offering it to me he had gone way out on a limb. I agreed to try it out. After I (and my family) had gone through the course Paul and I had a whole new range of topics to debate, or perhaps more correctly, a detail framework for discussing the aspects of life that interested us. Being engineers we also were fascinated with the way the seminars had been put together and what made them work. When we hired in, Northrop had a quarter-scale version of its 7ft by 10ft Low Speed Wind Tunnel that was driven by compressed air. It was useful for small-scale R&D exercises where fidelity and precision were not of paramount importance. The test cell where it was located was needed for other purposes and the since the “Mini-Tunnel” had been designed around the test cell compressed air supply, it was now threatened with demolition. I didn’t feel strongly about it but Paul insisted that we try and save it. We knew there was no budget available, but wind tunnel drive systems are usually expensive custom-designed affairs with sophisticated control systems. We searched catalogs trying to find an available off‑the‑shelf package and came up with a fan that had been designed as a chicken house ventilator. It came packaged with electric motor and a set of motorized louvers for controlling the air speed. The whole thing cost around $1,000. Our manager at that time, E. Dabney Howe, was tickled by the idea and not only approved the purchase but found us a large room in a remote building where we could set the thing up. Paul always referred to this area as the “Chicken Ranch”. After that the project developed a life of its own. Joining the new fan to the existing tunnel was straight forward – it just needed plywood and 2x4’s. It worked, but only just. We needed more performance. We increased the fan speed by changing pulley diameters, and made up a crude fixture that enabled us to put a precise amount of twist on each of the steel fan blades. Then we built a hub fairing or bullet, and installed downstream anti-swirl vanes. Finally we had the airspeed and dynamic pressure that we needed. The original 20HP motor was now being asked to produce 25HP continuously and the control louvers worked fine except that we only ever ran at one speed – flat out! Now we looked at the flow quality in the test section – it was awful! We needed some kind of flow straighteners and turbulence dampers in the inlet. The classic approach in big wind tunnels is to use metal honeycomb, but that’s expensive stuff. We looked at stacking lengths of aluminum tubing on top of each other until the inlet was filled up. The tubing was expensive and the labor to cut and de-burr it even more so. We finally found a supplier of cardboard tubes of the right diameter and length and bought 20 or so cartons. The cardboard tubes worked just fine. The test section flow became smooth and steady. Now we were ready for a data system, which we developed in-house, and gradually acquired a wide range of toys: smoke generators, helium bubble generators, laser light sheets and so on. I should mention that most of the hands-on work to actually turn our ideas into reality was done by Carl Weyl III, who shared with Paul a fascination with inflating things for comic effect. Our Advanced Design clients caught on to the possibilities of the Mini Tunnel right away. It ran day and night as they used it to sift through hundreds of candidate shapes for their jet fighter projects. We thought it was a hoot that the facility that we had designed to be operated occasionally by one person now often had two security guards 24/7. My mother visited California several times in the early 1980’s. She disdained America and all things American, but when she met Paul she took to him right away. He was polite, charming, and bore a mild resemblance to Gary Cooper, plus, I suspect, his conversation kept her slightly off-balance. On one visit Paul had come over to my house to pay his respects. When he left, her parting shot to him was “Please look after Ricky for me”. Without missing a beat he replied: “Mrs. Hughes, Rick looks after me”. In the early days at Northrop, while we were still trying to feel each other out, we had a game where each of us would say the name of an obscure British sports car and the other would have to describe it sufficiently to show that he knew it. We covered Turners and TVR’s, Allards and Ginettas, etc., etc., and finally I thought I’d get him. “How about Marcos GT?” I said. “Oh sure” he said, “great car”, then, casually, “I had one, you know”. 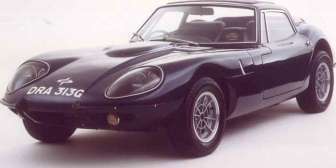 The Marcos GT was the brainchild of Jem Marsh and Frank Costin. It had a frame made of bonded marine plywood – very stiff, very light. It had an oh-so-low-slung fiberglass body and the initial production batch was fitted with Volvo 1800cc engines. I remembered how in high school I had lusted after them and particularly one that I had seen in Clifton, near Bristol, England, on a bicycling vacation in maybe 1965, when the Marcos was brand new. I told Paul I had stopped and taken a couple of photos of the car. He said, magnanimously, that he’d like to see the pictures if I still had them. The conversation was forgotten until nearly 7 years later. For reasons I won’t go into all my “stuff’ was in a friend’s garage. Sorting through it I came across an old photo album filled with black-and-white shots of airplanes and cars. There were the Marcos pictures and, remembering the conversation with Paul, I popped out one of the photos and took it in to work at Rockwell Downey the next day. Very coolly I laid the picture on his desk and said “There, there’s the Marcos picture I was talking about”. He studied it silently for a minute, and then announced quietly: ”yes, that’s the one”. I responded “yes, that’s the Marcos I was telling you about all those years ago.” He said again, very coolly: “yes, I know, that’s the one.” At this point I started to feel quite alarmed (and totally out-cooled). “What exactly do you mean?” He said, still totally cool, “that’s my Marcos”. I told him that couldn’t possibly be true since my photo was taken in England and his car was in New York. The next day he brought in his picture of the Marcos, sitting in his parent’s driveway in upstate New York. It had been imported, used, in the late 60’s and Paul had bought it. He kept it at his parent’s house over the winters. He had never removed the original British front license plate (it was an appliqué like the one in the photo on this page), which was quite legible in both photos. Paul was very fond of his beer until a few years ago. He liked to comb the country for obscure breweries and bring his discoveries home to share with his friends. We were not in the habit of exchanging gifts on birthdays or Christmas, but one Christmas (I don’t remember which one) I sent him an ale brewing kit. Don’t ask me why – it just seemed like the thing to do at the time. After a slow start production got under way, and as the results became more drinkable he started labeling them with the appellation “Hairy Mammoth” and numbered each brew sequentially. I think the final batch number was over 30! Quantities were quite small (I think no bigger than 5 gallons at a time). Characteristically, after several years of marked success (from this taster’s point of view) he closed the brewery and distributed the apparatus – I was given the crown corker and a bag of hop pellets……. Neither of us have flown hang gliders (yet!) but Paul often suggested we go watch people fly. One time we took the Lion’s Trail over the mountain to Bodfish and then rendezvous’d with a group of “intrepid birdmen” who were camped in the hills north of Lake Isabella. We watched them fly, helped them recover the gliders and hung out for the rest of the day at their campsite. One of the flyers I met for the first time that day was Les King. Another time we met up with Hyman Crippen, a colleague from Rockwell. On the Saturday evening we went up to the Kern River and found a natural hot springs to enjoy. On the Sunday morning Hyman took his hang glider up to the ridge facing Bear Valley off of Highway 202, West of Tehachapi, and we went along to watch. Paul’s friend Dan was also flying. Dan took off and steadily gained altitude. We lost sight of him as he worked the southern slopes of Bear Mountain before flying back to Tehachapi. Meanwhile Hyman was not doing as well. After a good start he began to lose altitude. The rule was that when you descended below the take-off site it was time to head down to the Landing Zone at the base of the ridge. Hyman felt sure there was more lift to be had and he worked the slope to and fro until eventually he disappeared below the curve of the ridge. We saw a wing tip suddenly arc into view and then disappear again and we started running. Hyman had snagged a wing on one of the few oak trees growing on the face of the ridge and it had swung him straight into the ground, hitting in a Superman pose. He did a face plant in a small area of soft dirt between two rocky outcrops. He was out cold. We rolled him over and picked the dirt out of his eyes. Somebody had evidently seen the crash from below and an ambulance arrived within a few minutes. He was sent down to Bakersfield by helicopter without fully gaining consciousness. When we arrived at the hospital he was sedated and sleeping. We were told to check in the morning, so we went home. Hyman had other ideas. He woke up in the early hours and decided he didn’t want to be there. He called his brother to come pick him up and discharged himself. In my imagination I picture him waiting in the hospital parking lot in his hospital gown, still trailing wires and tubes. Paul: Well, the crux is whether the U. [the universe - RH] is trustable, or wields the divine meataxe. The closing of an industrial museum in Hove, Sussex, England (as Paul pointed out, home of the World Naked Bike Ride, next one scheduled for June 9th, 2007).